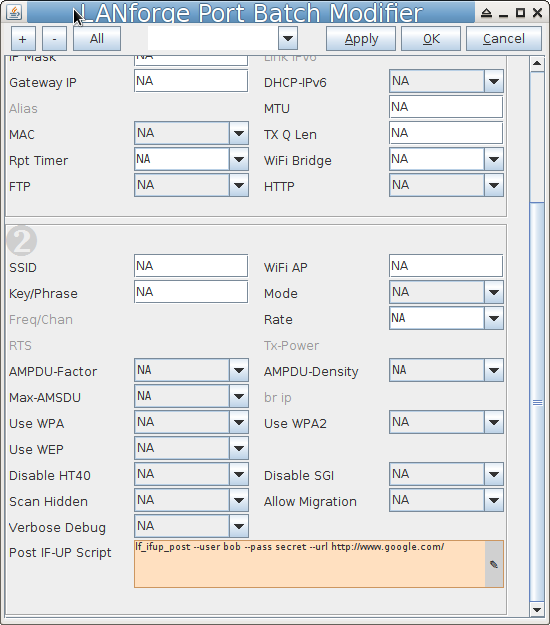 Goal: Create many user sessions to a WiFi captive portal gateway. Airports, arenas and coffee shops often offer open WiFi service that is gated with a web sign-on form. This is called a captive portal. 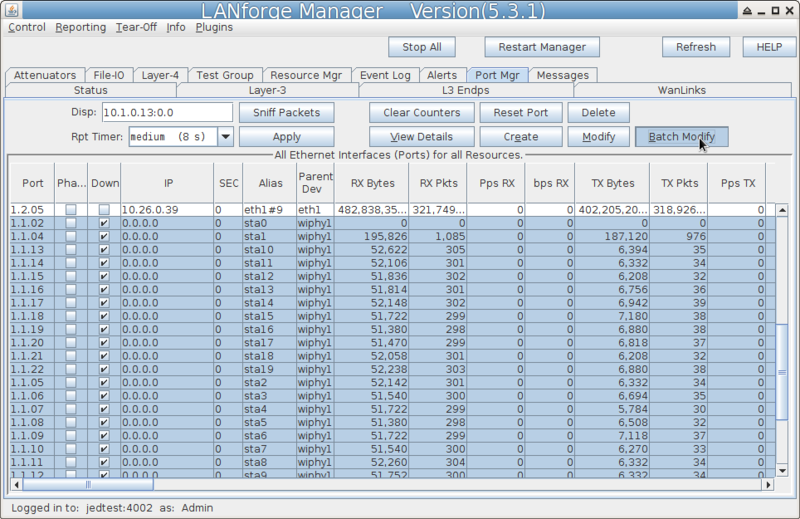 LANforge can run a custom login script on a virtual station to emulate sign-in on the captive portal web page. 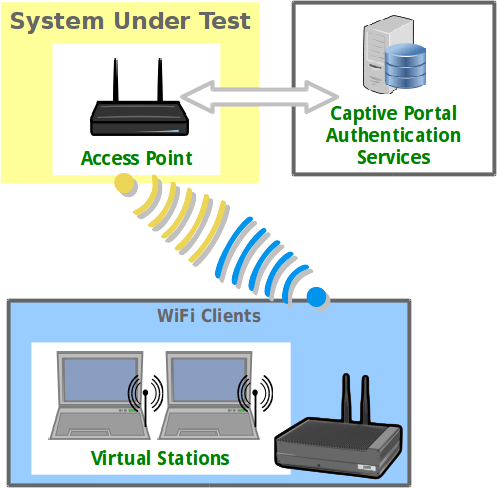 The following example will create one hundred stations and have them authenticate through a captive WiFi portal. 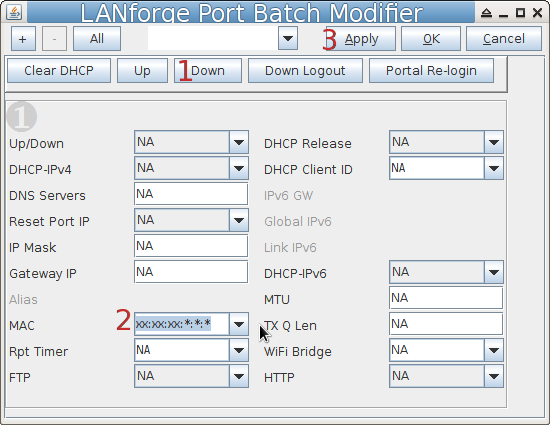 The lf_ifup_post script will be called after DHCP assignment for a station occurs. 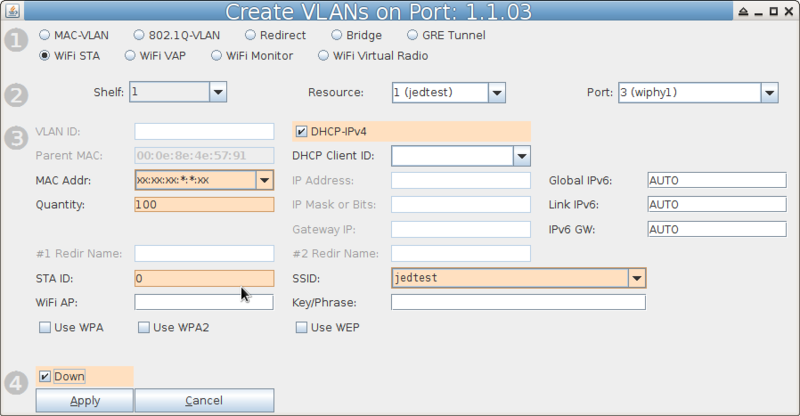 It can also be called before DHCP release. This script is called from the LANforge resource hosting the virtual station. The script should be in directory /home/lanforge/. Custom parameters to the script can be provided. The script can have another name. FAIL:reason, this provides feedback on failure occurrance. Select the Down option. This postpones the stations making a DHCP request until they are explicity admin up. In the Batch Modify screen, click the + button and expand to Group 2. Click the Apply button to apply the changes. Do not close the window yet. 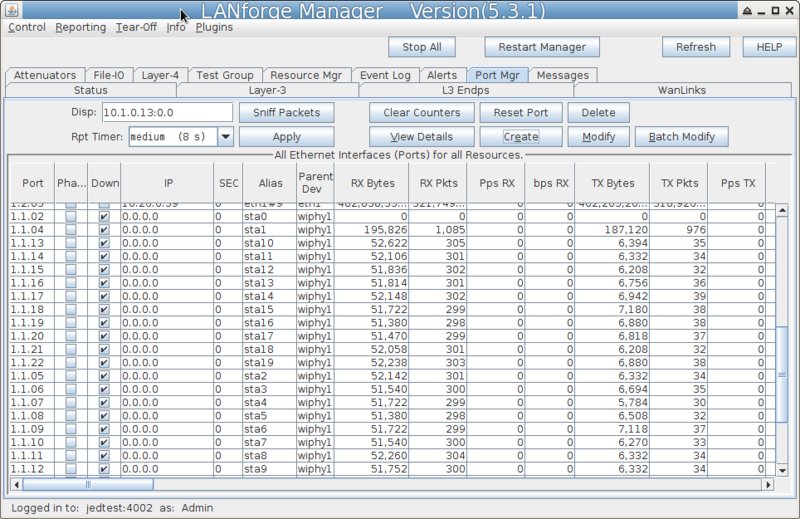 To check the value of each port's IF/UP Post you can use the Ports tab. 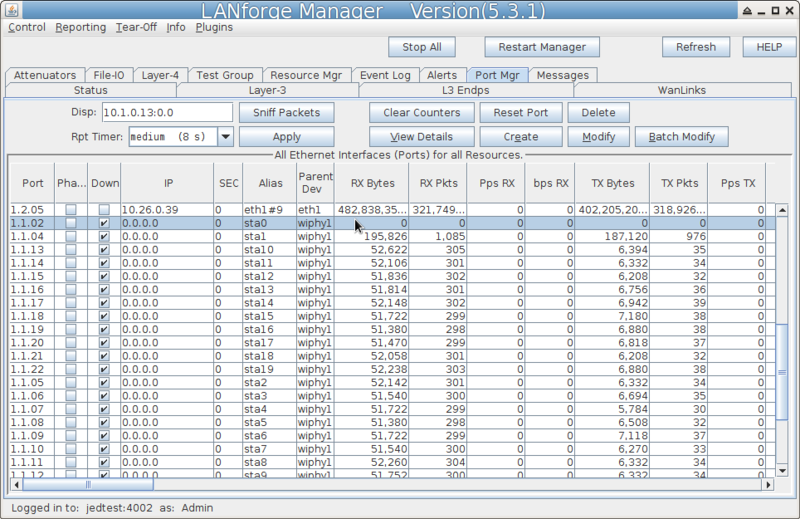 In the port Configure Settings window, in the More Advanced Tab you can find the IF/UP script value. Testing a station. We will toggle it up and down and look at the logs to find problems. Highlight one of your stations in the Ports tab. windows for error messages. The Ports tab will update the station status.